I use weights from an old barbell set to keep the willow submerged. Otherwise, the willow floats. 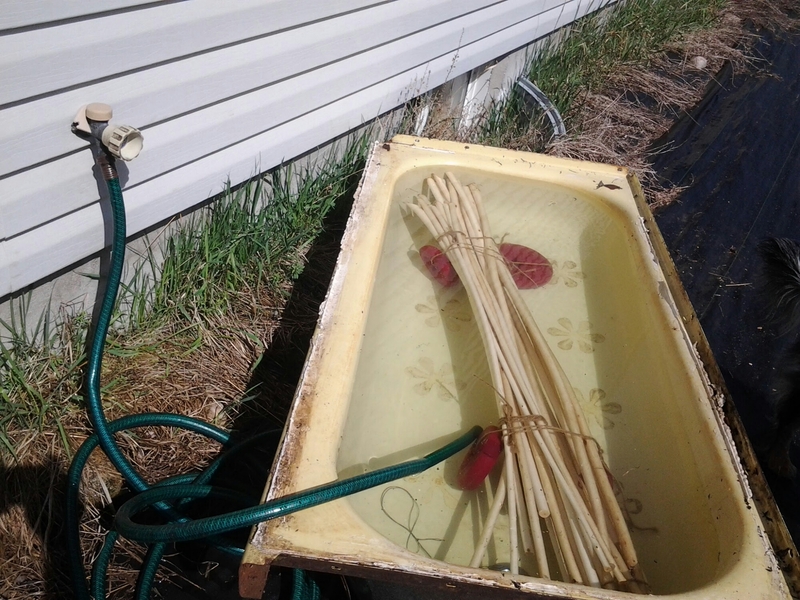 This afternoon, I dragged the tub from its bed of weeds and up to the outside faucet at the house. While cleaning off the dirt, most of the remaining bits of adhesive tub daisies finally came too. We replaced this tub with a shower back in the old farmhouse, so it’s been sitting outdoors probably 20 years. Those stick-on daisies were on at least that long before we took the tub out of the bathroom. 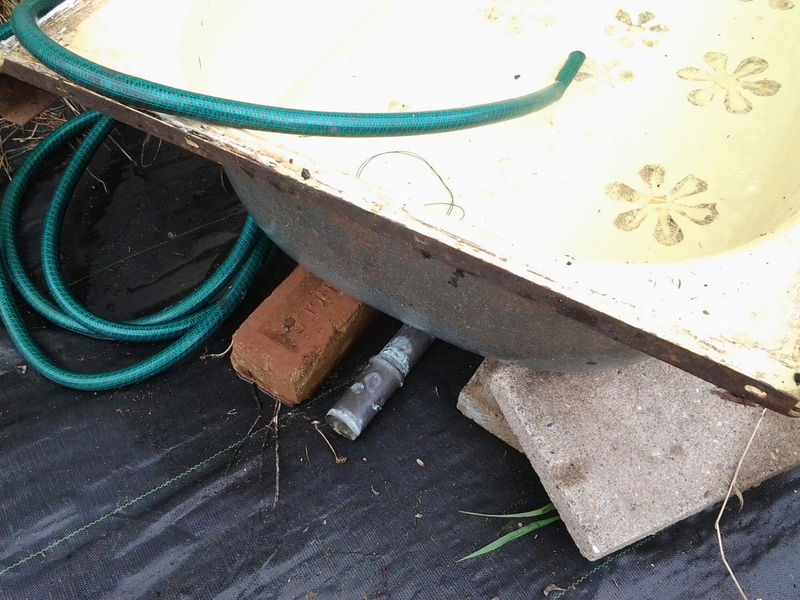 It only takes a few minutes to brace the tub with a few bricks and patio blocks, fill it, and get stuff soaking. 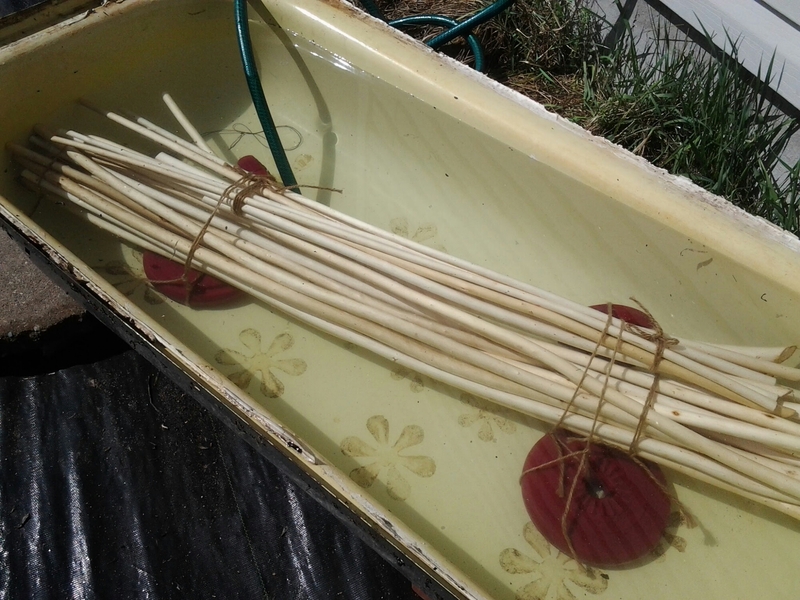 I’ll soak the willow until tomorrow afternoon, remove it from the water then mellow it overnight. I hope to split on Thursday, while a second batch of willow soaks. With a little luck I’ll have the splitting done before my month of jury duty service begins next week.